The Missions and Outreach Commission (M&O) supports more than twenty groups locally, nationally, and world-wide through contributions of money, time, and talent from the St. James’ congregation. There is usually an established nexus between the groups M&O supports and past or present St. James’ parishioners. St. James’ distributes more than $25,000 annually to local, national, and international groups including Samaritan Ministry, Good News Jail and Prison Ministry, and Bibles and Christian literature for this ministry, Shepherd’s Table, the Gideons, Cornerstone Montgomery, Interfaith Works, Manna Food, the Bishop Walker School, Action in Montgomery (AIM), Building Veterans, and support for our own Backpacks Project and Cold Weather Clothing Drive. Mental Health and Wellness – St. James’ has recently discerned a calling to address Mental Health/Wellness. We are starting with an adult forum series featuring guest speakers, presentations, and discussions to build awareness of mental illness and wellness issues, to dispel myths and misconceptions, and familiarize ourselves with the ministry landscape into which we are being called. Join us in the parish hall meeting room at 9:15 a.m. on Sundays. 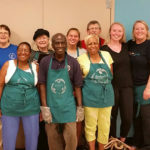 Shepherd’s Table – For many years St. James’ has helped feed the needy and homeless at this kitchen in Silver Spring on fifth Wednesdays (four or five times a year.) Many parishioners have volunteered to help and others are always welcome, and needed. Visit the Shepherd’s Table Volunteer Hub for information on serving at Shepherd’s Table, and click here for instructions on creating a volunteer account with Shepherd’s Table. Samaritan Ministry has been a major force to help the poor in the DC area, and St. James’ has been a contributor to provide assistance to the less fortunate. After each rummage sale we donate clothing that would be appropriate for job interviews. This clothing is given to clients who are in the process of seeking employment. Also, food collected in baskets each Sunday is delivered to Samaritan Ministry, where it is given to those in need. So please be assured that all of the collected items are delivered to Samaritan Ministry for good use, and we could always use more! Cold Weather Clothing Drive – For several weeks in January we collect donated items, some new, some gently used, to provide to Interfaith Works to assist those in need, many homeless. We also supply new underwear for men in shelters from our M&O budget. Prison Ministry – There are two programs which St James’ has led for many years in Montgomery County. One is an inmate visitation program, sometimes called “Bible cart,” at the Montgomery County Correctional Facility (MCCF) in Clarksburg and the Montgomery Co. Detention Center (MCDC) in Potomac. 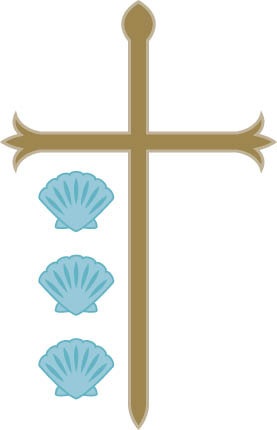 Although there are many volunteers for MCCF, many who are Spanish speaking, there is a great need for more at MCDC. St. James’ works with Good News Jail and Prison Ministry as well. Mike Bohman of St. James’ leads a weekly 12-step program about relapse prevention at the Prerelease Reentry Service (PRRS) in Rockville. On average there are about 20 volunteers from various churches who visit MCCF (Clarksburg) weekly. We could really use volunteers to go to MCDC (Potomac). Bishop John Walker School for Boys – We have been a supporter of the school in SE Washington, in one of the poorest areas of the city. At Christmas, St. James’ coordinates an “angel tree” project to provide gifts for the boys, who also appreciate receiving cards from our community. The “angel tree” project is a joint collaboration between St. James’ church parishioners and families at the Children’s School. Bon Samaritain L’Acul – We have continued our relationship with our partner parish in Haiti, Bon Samaritain L’Acul. Because we have not had “boots on the ground” in Haiti we have relied on our other partner parish, St. John’s in Stamford, CT, for updated information. Folks from St. John’s travel there several times a year, and in 2018 two parishioners from St. James’ visited the Parish and met with Pere Wildane, then-leader of Bon Samaritain L’Acul. Our support has contributed to reopening the medical clinic, working to successfully drill a new well, supplying medicine for the clinic, and many other activities.